Welcome to the top of the world! 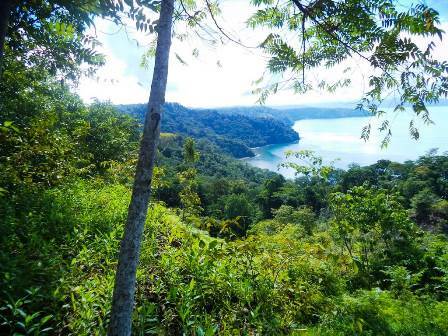 This 121 acre farm sits on the mountain tops above the Rincon region of the Osa Peninsula and boasts stunning Golfo Dulce views. 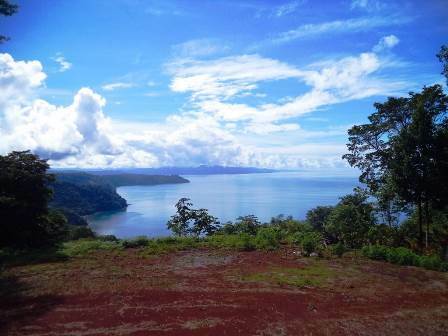 The property has 50% coverage in old-growth primary rain forest, the remainder in recovering secondary, pastureland, and FIVE cleared building sites, all with stunning views. 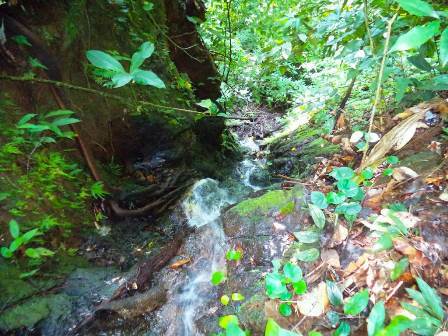 As you would expect from a property this size, there are a number of streams and spring onsite, even waterfalls. The property bounds the main highway and can be accessed by one 4WD clay-track road and by one internal road that is 2WD in the dry season but 4WD in the rainy season. There is a single small house, two bedroom, one bath, 360 square feet, with grid power and onsite water, but let me repeat there are FIVE building sites with stunning views. Grid electrical power passes right by the property along the paved highway, plus there is power extended to the house. 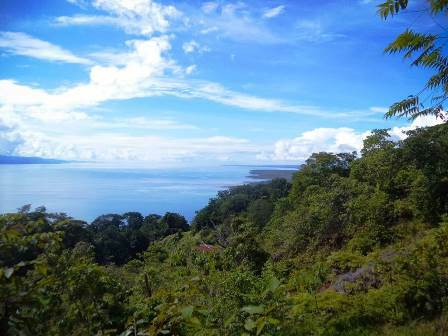 The property forms part of the animal bridge that connects Corcovado National Park with the Talamanca highlands to ensure gene pool diversity of the jaguar and other protected animals, and the farm has extensive wildlife. 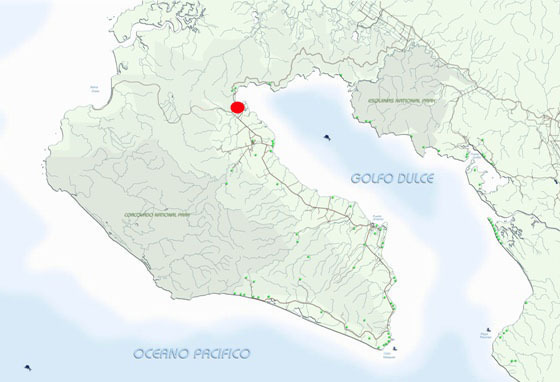 Access is year round and the farm is just a thirty minute drive from Puerto Jimenez in one direction along a paved highway and thirty minutes in the other direction from the intersection with the Panamerican Highway. 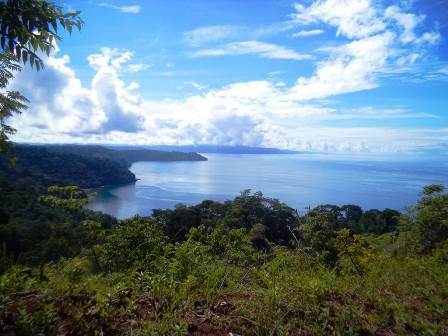 This property is ideal for subdivision into five world-class multi-hectare tropical estates, but also amenable to commercial development as an eco-lodge or for conservation. At $1 per square meter, this titled tract of multiple-use land has clear title and is all current on taxes. The owner is motivated, so call or write today to learn more or to schedule your showing. Structure description:360 square foot concrete home, 2 bedroom, 1 bath, grid electrical power, water from onsite spring. Access: Two internal roads, one a clay two track, the other graveled access to the single home on the property. Internal roads are 4WD, though the home can be reached by 2WD vehicle in the dry season. The property bounds a paved highway accessible year round.